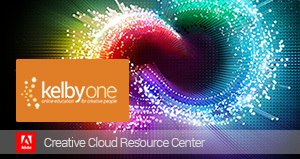 The ultimate resource for Adobe Photoshop education, training and news. Top rated video podcast for Photoshop learning. Get a tip a day from this informative video podcast, feature Matt Kloskowski. A source for Photoshop tutorials, tips, tricks, news and reviews. The definitive authority on web publishing and print. A site dedicated to backgrounds and textures. Helpful tutorials and ideas. A Photoshop site providing lots of tutorials, free-images, tips, its own newsletter, and lots of links. A site that has filters, effects, tools, plug-in guide, plug-in store, gallery and more. A useful site that provides tips on color correcting, filters and more. Provides actions, books, filters, tips and techniques, and links to other good sites. Site providing lists and links to lots of plugin resources. Features lots of good Photoshop and Illustrator tutorials and tips. An abundant resource of Photoshop tutorials. A great resource for Photoshop users.